Thank you for your thoughtful discussion of cleat position. I recently ruptured my Achilles tendon and am slowly progressing after surgery. Four weeks after surgery, I have been cleared to pedal a stationary recumbent with flat pedals and the balls of my feet well in front of the pedal spindle. Complete healing of the Achilles to its ultimate strength will take a year. 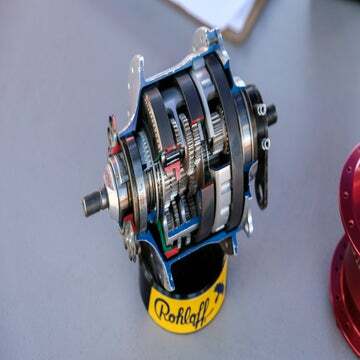 When eventually resuming the use of clipless pedals, a more aft cleat position will importantly place less force on the tendon, as it gradually remodels to withstand greater loads. It is reassuring that there will be additional advantages to sliding my cleats as far back as possible. It may be worth mentioning that the latest Shimano road shoes (e.g. SH-RC901) provide for an additional cleat position 11mm back from the “normal” position that’s furthest back; it is attained by moving the holes (yep!). See here. In your most recent discussion of cleat placement and toe overlap, you attribute this phenomenon to smaller riders. I think it’s worth adding another caveat: toe overlap also seems to be an issue with long-legged and large-footed riders like myself. As a rider who is 6-foot-2, wears a size 47 shoe, and is all leg, I have appreciated the comfort found in a custom frame with a shorter reach and higher stack height. I ride Shimano touring pedals with mountain cleats slid all the way back on carbon-soled cross-country shoes. This position has been good for my lower back and feet, allowing me to ride pain-free for hours. However, the shorter top tube, steep head-tube angle, and modest rake common on larger frames, combined with a cleat back position (not to mention 180mm cranks) means that toe overlap is a reality that I have to accept as a compromise necessary for long term comfort. The one time I consistently encounter problems is when making U-turns at a very low speed as I climb up urban bike path overpasses. I suspect some of gravel bikes’ popularity comes from their short top tubes with the consequence of an increased likelihood of toe overlap. Thanks for your attention to detail in fitting riders of unusual proportions and elusive pains. Using the much-maligned KOPS guidelines, I was able to find a saddle position that eliminated my knee pain. Recently, however, I installed a stem that’s 5mm longer and 25mm lower. As a result, I immediately started getting sharp knee pain (left knee, upper inner quadrant). Since my saddle position didn’t change, I assume that the changed body position somehow changed the angle of my knee relative to the pedal. What do you think happened, and what general guidelines would you give in terms of saddle position relative to stem changes? I would guess that your left medial knee pain is related to tightness in your left medial hamstring that could have increased with the position change. Increasing your stem length by 5mm while dropping it down an inch would have produced, in addition to your hands being 25mm lower, the distance from the saddle to bar being increased by 12.8mm, not just 5mm. When you changed your position to make your upper body more tipped down and stretched out, you tightened up the angle at your hip. The low back being folded down more pulled tension on your hamstrings. I am no physiologist, so I can’t say what structure in the knee that this extra hamstring tension would affect. What I can say is that I know it is possible for tight hamstrings to produce knee pain. I have dealt with a left upper medial hamstring injury for a long time, and I have personal experience that it has produced pain further down in the leg and in the low back or vice versa. It might not be just extra muscle tension, either. For instance, in an effort to relieve my symptoms related to my hamstring injury, I have been going to a practitioner of “counterstrain” recently, which is a practice of identifying and releasing tension on the fascia in the body. Fascia exists all over in the body; it not only surrounds muscles, but it also surrounds nerves, blood vessels, organs, etc., and it is highly interconnected throughout the body. So even if the hamstring itself is not yanking on that area of your left knee enough to cause your pain, fascia under higher tension from the change in your riding position could be doing so. As someone who only rides centuries and then rides mountain bikes, I am looking to simplify my shoes and pedals. I prefer to get down to one mountain bike shoe that would perform best on a road bike. What pedal combination do you believe would work best? 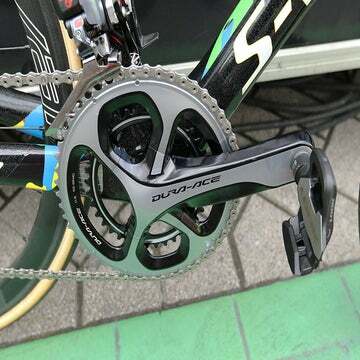 I have been looking at Shimano, Time, and Speedplay. 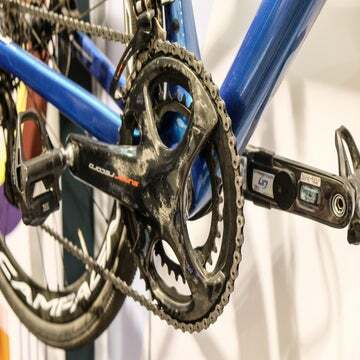 Any of those pedals would work fine for this application, as long as you are referring to MTB pedals; you don’t want to use road pedals on a mountain bike (and can’t use them on a mountain bike shoe). There is at least one other pedal brand you might consider, Crank Brothers. You probably can find pedals from any of those brands that you will be happy with.